When you get hurt, it's important to remember to take it slow! 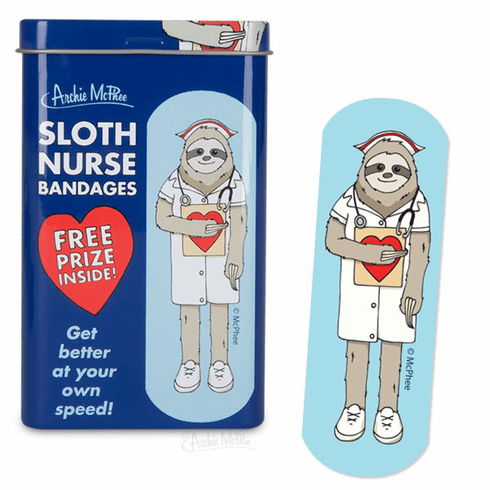 This adorable sloth nurse wants you to get better at your own pace. There are fifteen large sterile strips, 3" x 1" (7.6 cm x 2.5 cm), that come in a 3-3/4" (9.5 cm) tall metal tin. FREE PRIZE! Latex-free adhesive. Twelve shrink wrapped tins in each illustrated display box.